Comment: we need approximately 30 feet of gutter removed and replaced on the second floor. Also, we need approximately 20 feet of gutter removed only on first floor. Comment: We need a gutter repaired because itâs causing a leak in an upstairs bedroom. We do not have a ladder tall enough so we are unable to inspect the cause of damage. Comment: Replace gutters around a 3800 sqft house built 80 years ago with newer additions about 40 years ago. Dennis Ringer & Son, Inc.
Rochester Gutter Cleaning & Repair Services are rated 4.74 out of 5 based on 607 reviews of 14 pros. 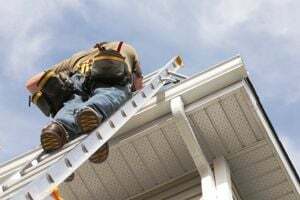 Not Looking for Gutters Contractors in Rochester, NY?